If there were ever a day in the past year where all I wanted was to be at home surrounded by the people I love, it has been today. I have cried off and on all morning on the train, talking to my sister J who called to grieve with me, watching Rev. Mitulski at Metropolitan Community Church of the Rockies, attending worship at Congregational Church of San Mateo United Church of Christ, and at the grocery store deli waiting for a sandwich. After a FaceTime call from Miguel and framily there, I’m back on the train heading to my family at City of Refuge – United Church of Christ in Oakland for comfort, yes, and for the marching orders I’m sure to receive from Bishop Yvette Flunder before I head back into San Francisco tonight for a candlelight vigil at the #HarveyMilk plaza in the Castro–though a part of me will be with my family at the vigil in #Dallas tonight. But as my soon-to-be-brother-in-law reminded me, I know I am in just such a place in my life at just such a time in history being trained for not just the work ahead but for the work of Pulse and Orlando and Charleston. 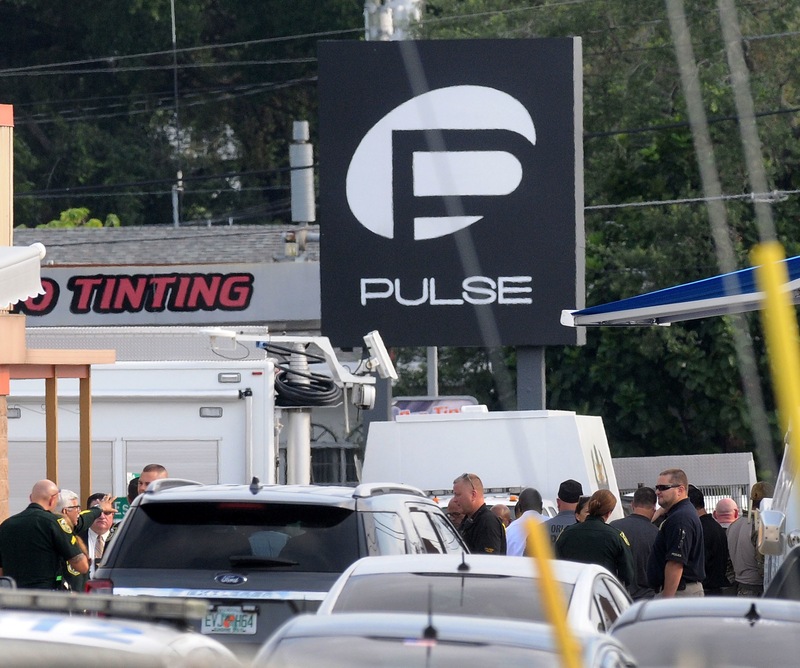 While this massacre hits me acutely–devastatingly–it is not and cannot just be about what has been done to #gay people. We are getting a bitter taste (and for many lesbian and gay people, a terrifying reminder of the June 24, 1973 massacre of 32 mostly gay people in a CHURCH at the Upstairs Lounge in NOLA) of the FEAR people of color and trans people live with EVERY DAY that many think gays and lesbians have been emancipated from because yay we got #marriageequality. We are under attack: all of us. L AND G, B AND T AND Q–AMPLIFIED EXPONENTIALLY FOR POC. Every one of us who proudly stands up and comes out; each person who calls for an end to racism, sexism, homophobia, transphobia; every one of us who lives our authentic, counter-cultural self–boldly, proudly, and in the open; every progressive, radical person of faith who stands and says THIS IS NOT THE WAY OF JESUS. THIS IS NOT GOD’S PUNISHMENT. They are coming for us. And they will not stop. We must not yield to fear–others’ or our own. We must not reciprocate hate with hate. We must love deeply and fiercely and without bias. WE MUST BE A PART OF THE REVOLUTION and show the world a better way by standing together, united in #pride, motivated by compassion, and unflinching in our resolve to love the world into a better way of being–and be willing to die trying.